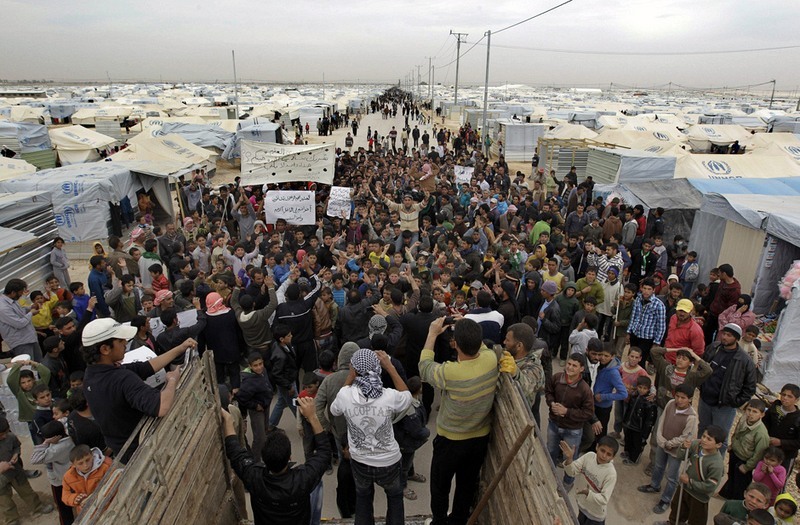 When civil war erupted in Syria in 2011, more than three and a half million Syrians fled the country to the neighboring countries of Turkey, Lebanon, Jordan, and Iraq, to escape the violence. 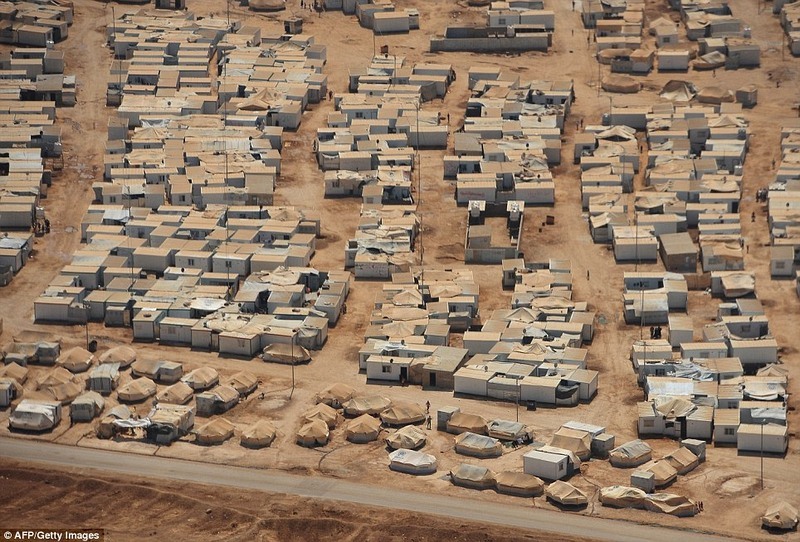 Overwhelmed by the increasing number of refugees that crossed the borders, the host countries began constructing temporary refugee camps with the aid of the United Nations. 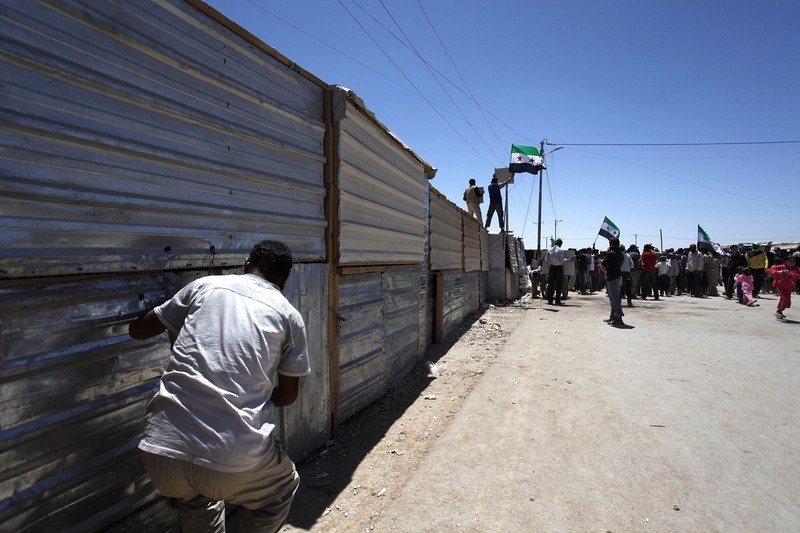 One such camp – the Zaatari refugee camp, located 10 km east of Mafraq, in Jordan, is gradually evolving into a permanent settlement. 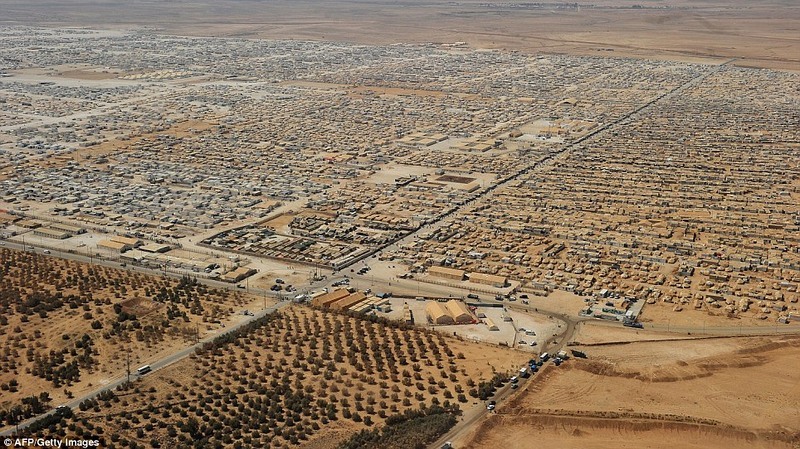 Sprawling over an area of 3.3 square kilometers, it is the world's second-largest refugee camp, behind Dadaab in eastern Kenya. 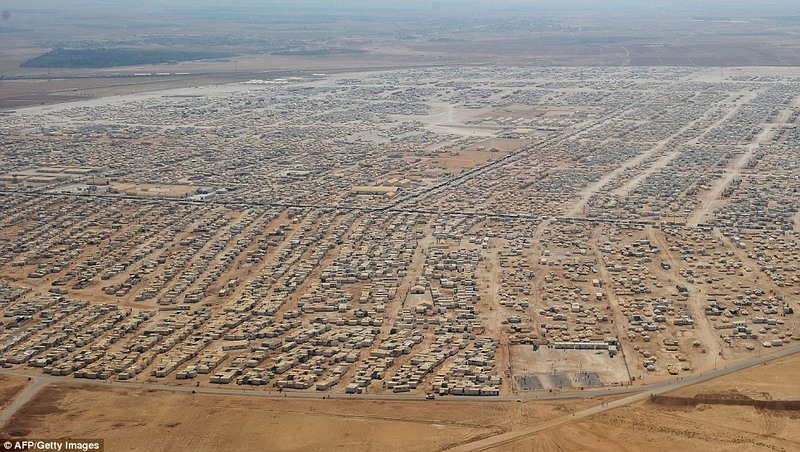 Since its opening in July 2012, more than 430,000 refugees have passed through the camp while 83,000 inhabit here permanently, making Zaatari the fourth largest city in Jordan. 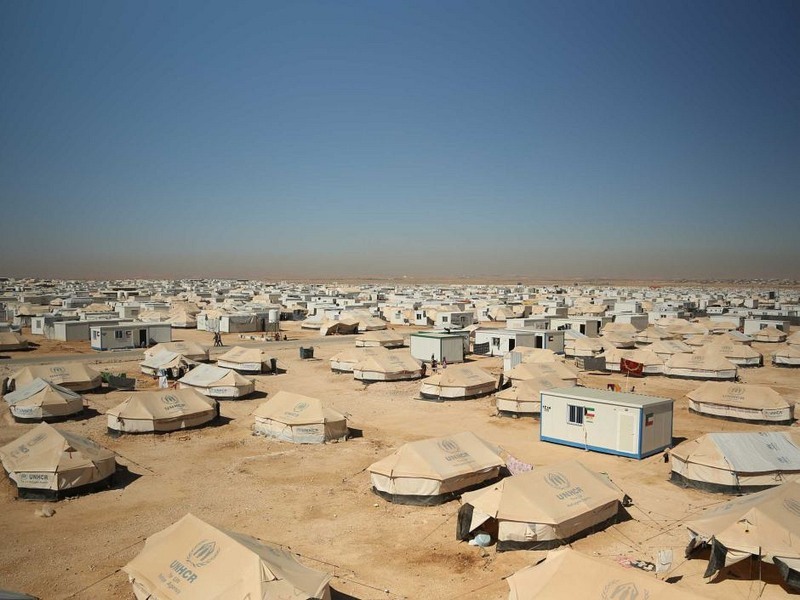 The refugees live in tents and portable tinned-roof shelters – some 30,000, in total, provided by the United Nations, which also provide all core relief items such as food and water, health and education. Some 17.8 metric tons of bread and 4.2 million liters of water are distributed daily. 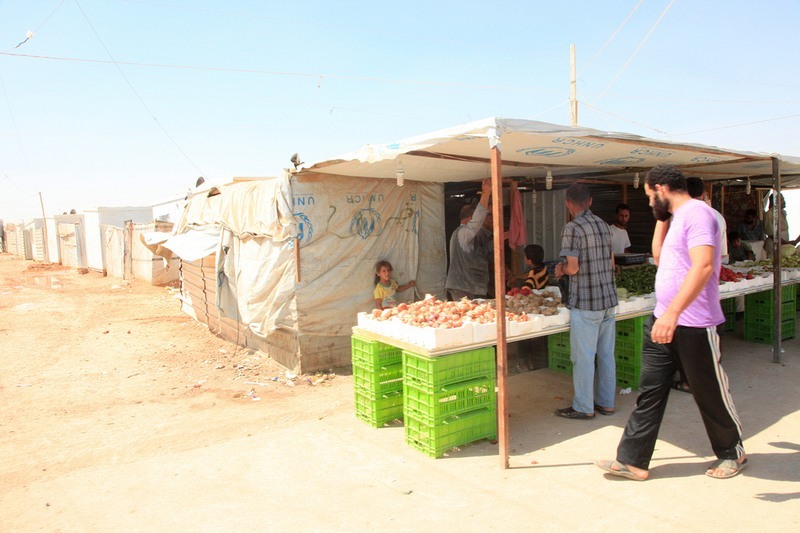 In addition, each refugee receives a monthly allowance of 20 JD via debit cards which they can use to buy additional food and other goods at the two supermarkets, operated by two private supermarket chains, Safeway and Tazweed. 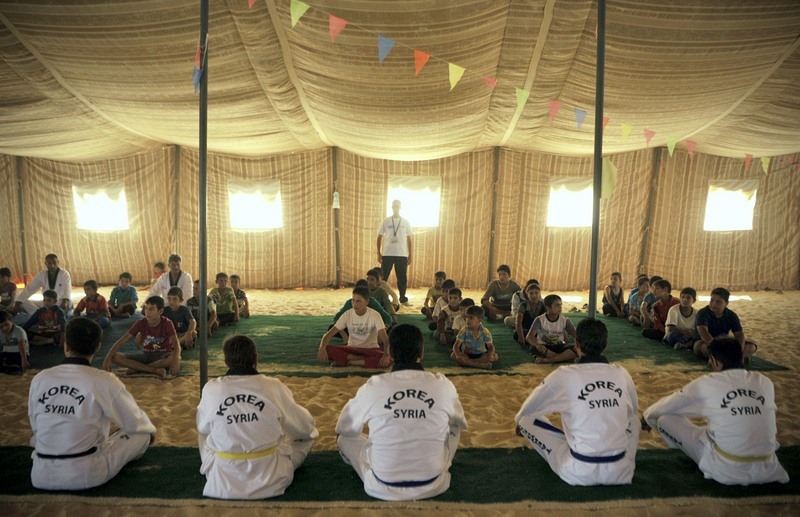 There are three schools within the camp with an estimated 28,000 school age children enrolled. 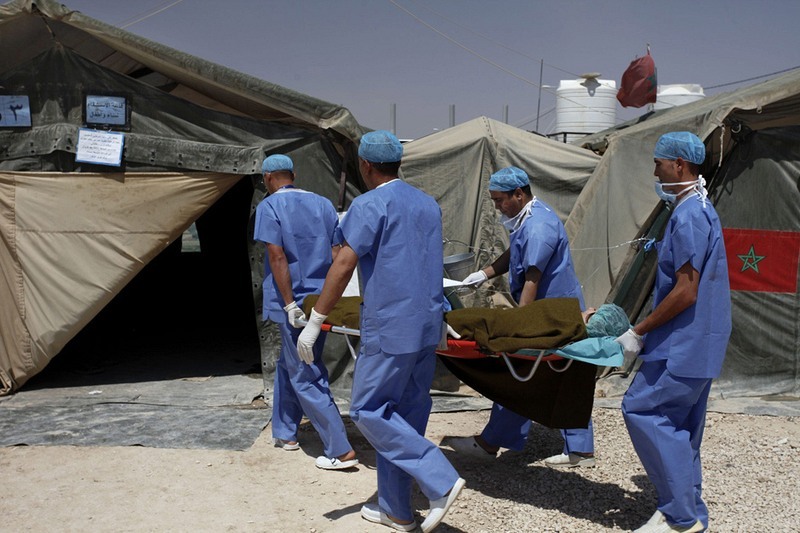 Medical services are dispersed through three hospitals and numerous clinics, also inside the camp, treating residents suffering from diseases ranging from diarrhea and hypertension to cancer and diabetes. 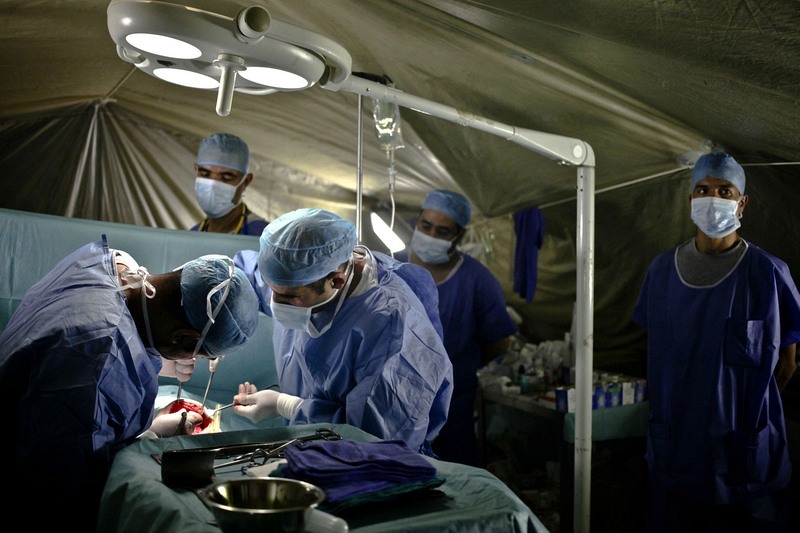 The maternity unit has so far delivered more than 3,000 babies, and thousand more mothers are expecting. 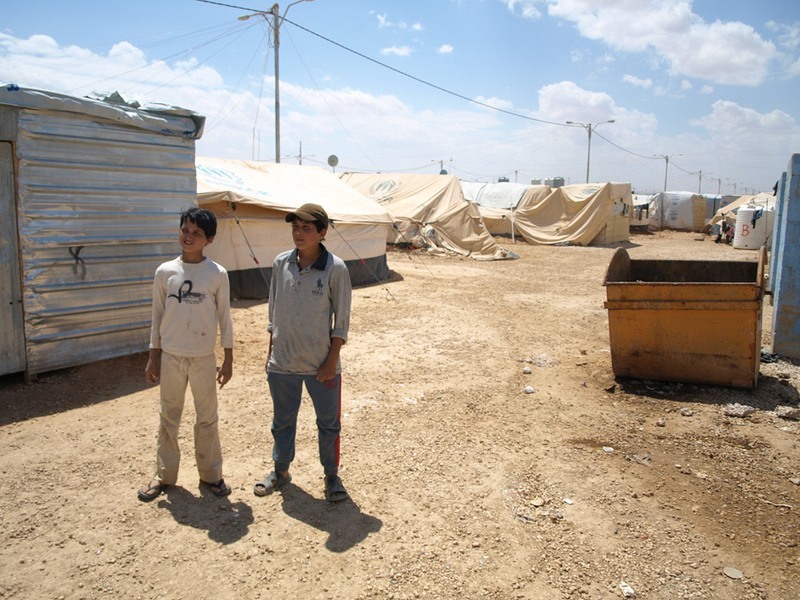 About 13 children are born every day in the camp. 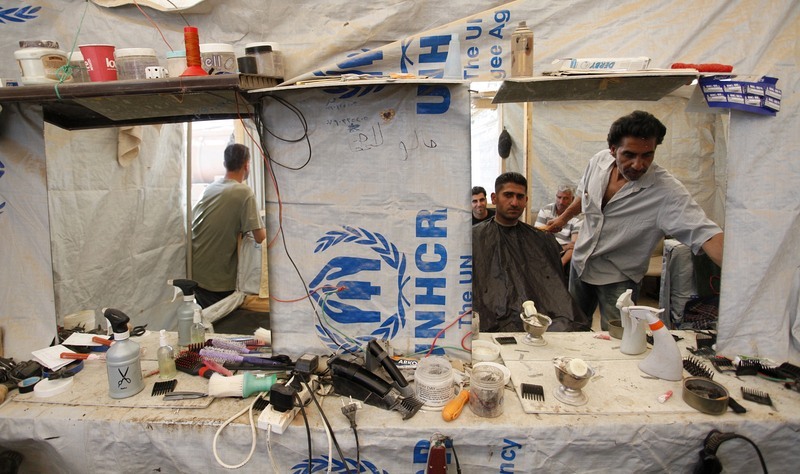 Life inside the camps is harsh, but the refugees have made themselves as comfortable as possible. 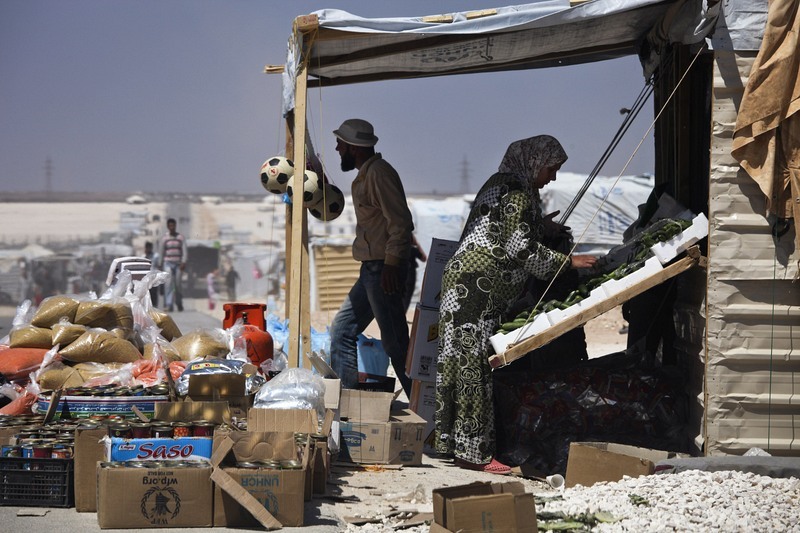 Entrepreneurial residents have set up more than 3,000 different shops and businesses along the camp's roads selling groceries, wedding dresses and mobile phones. There is even a travel agency and pizza delivery service. These small scale entrepreneurs are generating an estimate 10 million JD per month. The Ministry of Trade and Commerce is now planning to legalize these of shops including gradual integration of environmental and health standards. 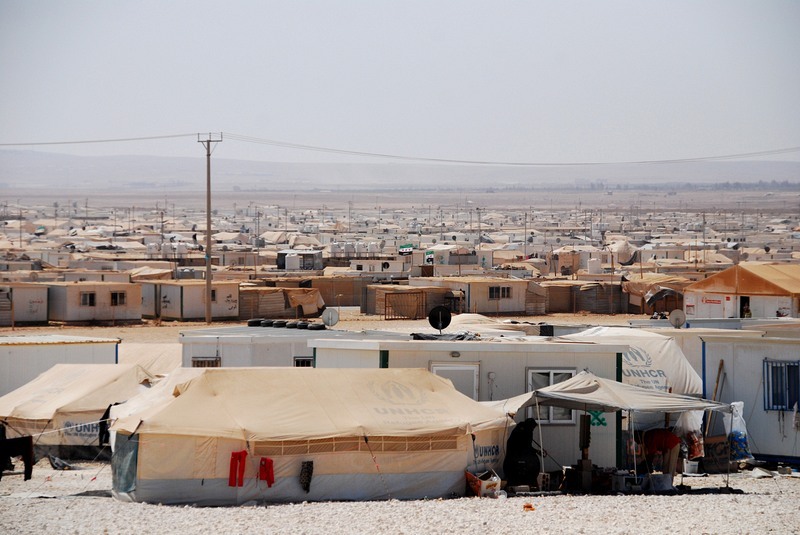 60% of the refugee population earns some form of income within the camp. 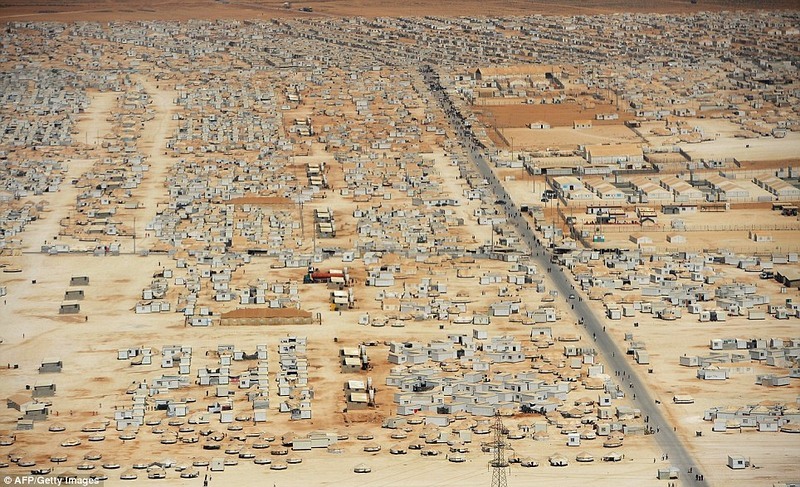 Like any bustling city, Zaatari has its share of internal problems. 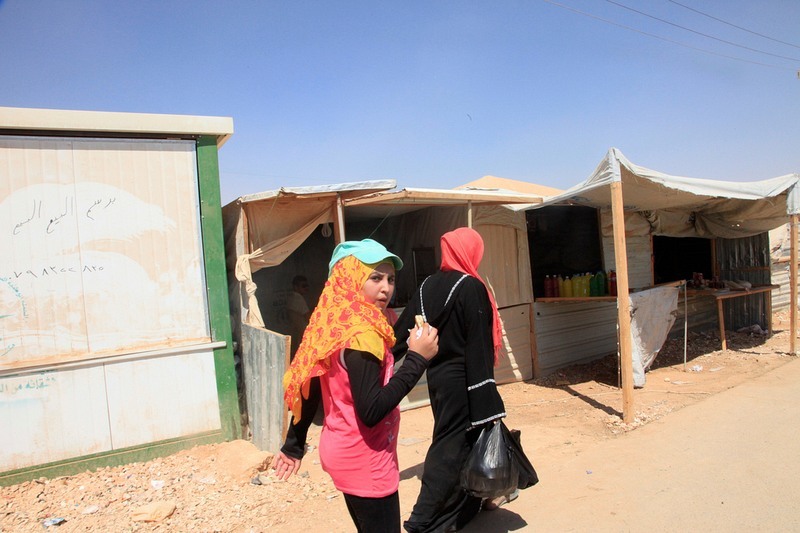 Gangs are known to operate across the camp and women are particularly vulnerable to violence. Once a new police station set up inside the camp literally disappeared overnight as residents took away the bricks to shore up their own houses. When the camp installed electricity pylons and lights to make the streets safer, residents started stealing electricity to light up their houses. 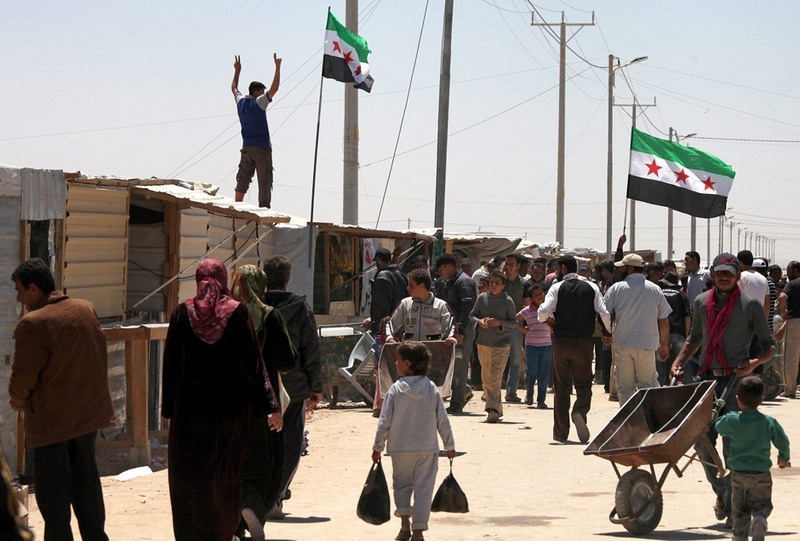 The camp authorities envisage handing over certain responsibilities to the residents by appointing representatives from the camp's 12 districts, to encourage a sense of ownership and more control over their lives.